The Wellness ZONE - Jackson NH and Mt. Washington Valley Area Information. Pumpkin People, Tradionally Yours Events, Lodging specials, Dining and Ski Area Info. 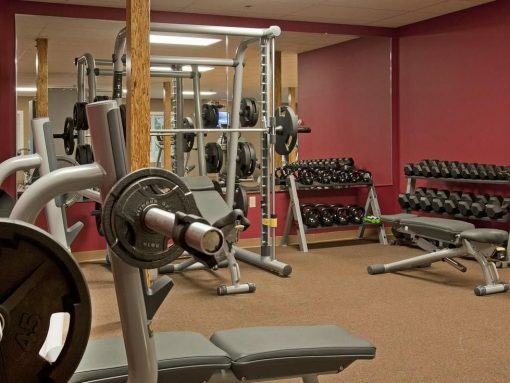 The Wellness ZONE Fitness Center at The Snowflake Inn in Jackson, NH is a member based fitness facility. The Zone, as we like to call it, was created to provide individuals a zone to create life balance. It provides the highest quality workout equipment available in the world by Technogym from Italy, as well a wide range of free weights. The infrared sauna penetrates into your skin deeply, dissolving harmful substances accumulated in your body and vitalizing you cells and metabolism. Massages also available.